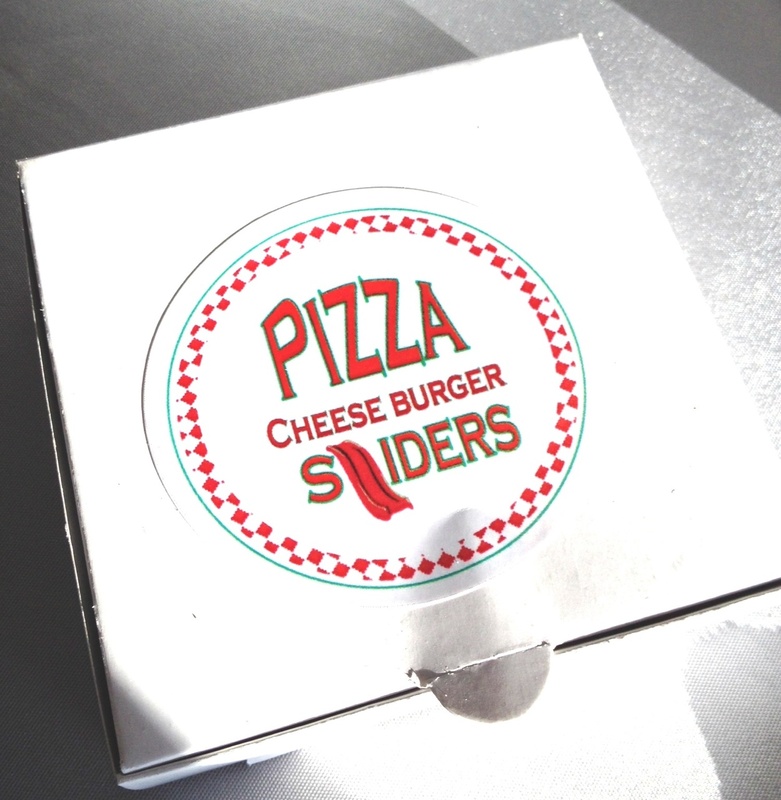 Boldly Chic Events: Delicious-ness! Thomas Caterers Annual Tasting! Delicious-ness! Thomas Caterers Annual Tasting! Lori and I had the privilege of attending Thomas Caterers' Annual Tasting for their 2013 menu. Every year Thomas (led by Kelly and Vince Early) adds unique and delicious items to their menu and we were so excited to attend and try a bite of everything! 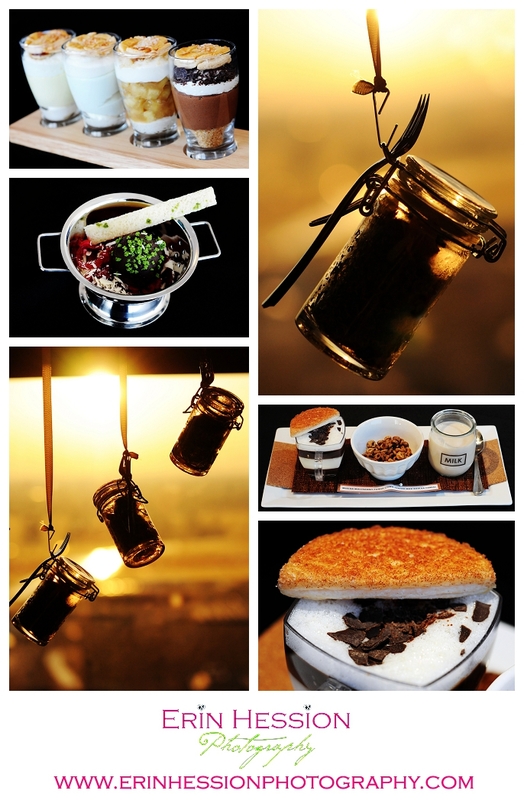 The presentation is super important when it comes to food - and on this particular night, we were not disappointed! The tasting took place at D’Amore, which is at the very top of the Chase Tower. We love D’Amore and had a great time enjoying the 360 degree views of the city while sipping Chardonnay and grabbing every delicious hors d’oeuvre that passed us! 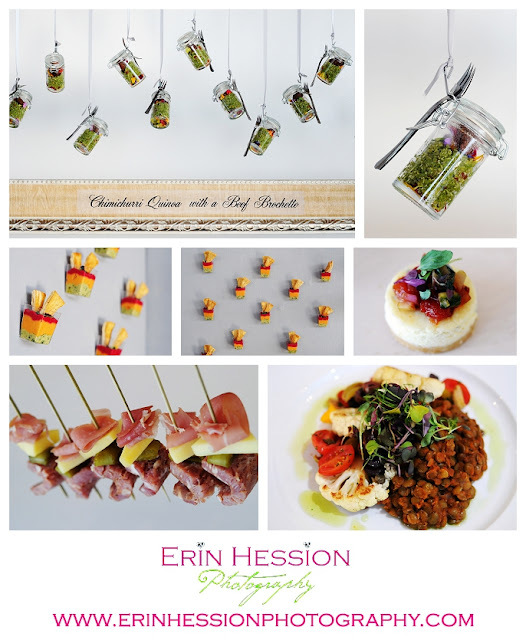 Erin of Erin Hession Photography captured some amazing pictures of the delicious hors d’oeuvres, salads, entrees and desserts. She graciously let us use a few photos to share with you! Middle photos: Hummus Trio with Pita Chips Station – Beet, Carrot and Kale Hummus – absolutely delicious and love the magnet display! Middle right: Savory Goat Cheesecakes with Tomato Jam and Cucumber Relish – one of our favs! Top right: The Flower Garden – we actually cheered with these! The flowers were removed and inside the vases was a yummy drink! Overall, everything was outstanding! We love Thomas Caterers and cannot wait to continue working with them throughout this year. There were many more offerings that evening and not enough time to describe them all! 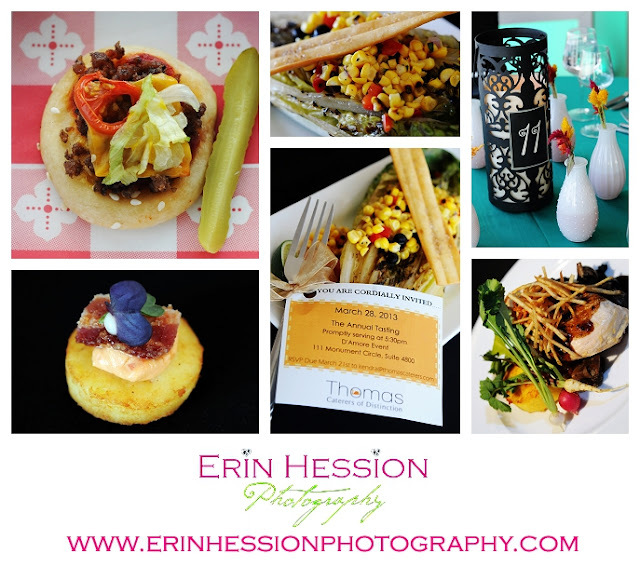 We’d like to thank Erin Hession Photography for the awesome photos and of course Thomas Caterer’s for the opportunity to attend this event! It was nothing less than extraordinary!